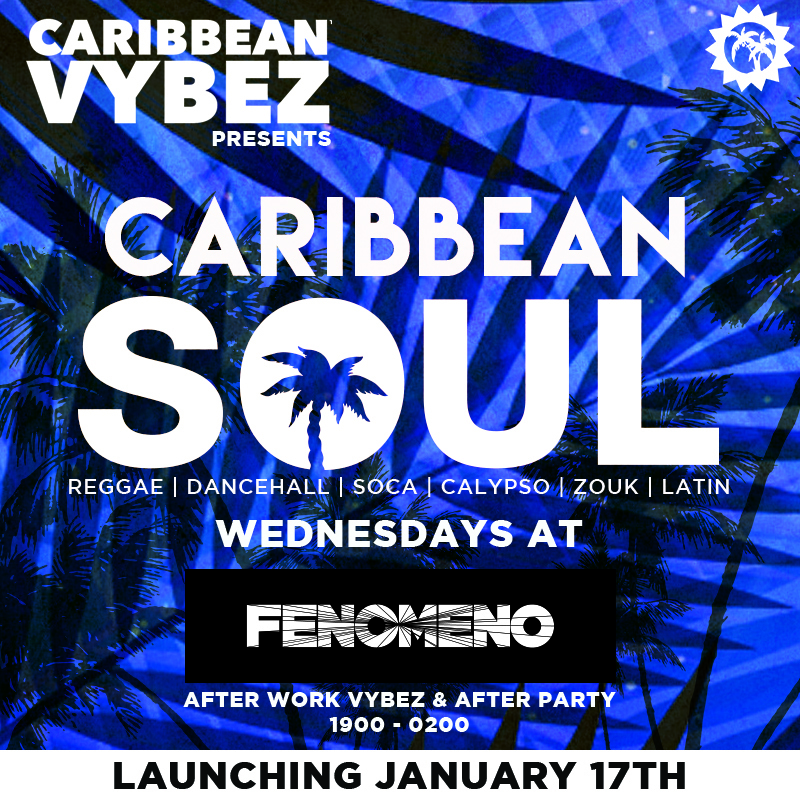 The 17th of January marks the soft launch of Caribbean Vybez International in Europe at Fenomeno Geneva, Switzerland. The brand which started in 2009 in Dubai has worked with various partners to bring and promote the Caribbean culture in the Middle East with performances from Jah Cure, Kes, Destra Garcia, Wayne Wonder, Rupee, Alison Hinds to name a few, also known DJs and the national instrument for Trinidad and Tobago the Steelpan. Caribbean Vybez in 2018 plans to expand its operations into the Europe market with signature events, weekenders, festivals, cultural expos and markets. The official launch will be held at the popular venue in Geneva Village Du Soir on the 9th of February which will celebrate the Carnival season. Titled " Caribbean Vybez at Village Du Soir" this event will feature local DJ group GC Sound, from the Trinidad/UK Mr General and Paris/ Guadeloupe DJAHMAN, carnival dancers will also be present to give that Carnival atmosphere. Founder Ethan Auguste stated," I'm excited for this new chapter in Europe, I have already made some great connections with existing groups and plan to work with them and others to enhance and build on our goals which are to showcase the culture of the Caribbean."